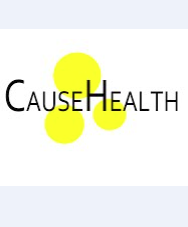 At 1 October 2018, a new collaborative research project started at NMBU that brings CauseHealth into its second phase; of CauseHealth pharmacovigilance. CauseHealth Pharmacovigilance (Causation, Evidence and Complexity in Pharmacovigilance) is a new research collaboration between Uppsala Monitoring Centre (UMC) and the NMBU Centre for Applied Philosophy of Science (NMBU CAPS). The project is funded by UMC and will be hosted by the Norwegian University of Life Sciences. CAPS researchers Rani Lill Anjum and Elena Rocca are working at the interface between philosophical theories of causation and scientific methodology in medicine. In CauseHealth Pharmacovigilance, they will work with Marie Lindquist, Ralph Edwards and UMC researchers on developing a new dispositionalist approach to patient safety. Dispositionalism is a philosophical theory of causation, emphasising features such as intrinsic dispositional properties, individual propensities, contextual interactions and causal complexity. On this view, marginal and outlier cases are exemplary starting-points for causal investigation, where a rare combination of dispositional properties interact in unexpected ways. This framework has been already applied to the clinical setting on the original CauseHealth project. The aim was to promote a person-centered treatment of medical unexplained syndromes such as chronic pain and fatigue. Moreover, Rani and Elena are proposing dispositionalism for the risk assessment of environmental contamination, arguing that any such process must start from detailed, qualitative contextual investigation of the contaminated communities. In CauseHealth Pharmacovigilance, dispositionalism will work as a solid conceptual foundation to ground systematic improvements of different aspects of drug and patient safety assessment. analysis of the weight-of-evidence process and its most basic implicit assumptions. As part of the project, there will be collaborating teaching activities and networking events. Uppsala Monitoring Center (UMC) was established in 1978 to support the WHO Programme for International Drug Monitoring. They are an independent, non-profit foundation and a centre for international scientific research on pharmacovigilance. Pharmacovigilance is the scientific undertaking of collecting, detecting, assessing, monitoring, and preventing adverse effects of pharmaceutical products (WHO 2002). UMC also works actively to spread the message of safer use of medicines globally, through education, training and communications activities of communities and health professionals. Their database of patient case reports, VigiBase, is the world’s largest database of its kind, with over 16 million reports of suspected adverse effects of medicines.